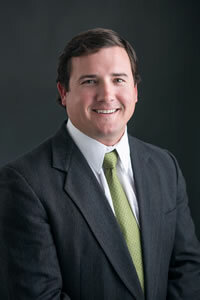 Kyle Biery serves as VP – Business Development. Kyle began his career at EXCO Resources, Inc. as a landman and was involved in $1.2 billion of divestitures and $2.0 billion of acquisitions. Kyle left Exco to pursue leasing opportunities independently through STAG Exploration, LLC which he founded in 2012, and together with Rhett Bennett at Black Mountain Oil and Gas’s predecessor entity, Black Mountain Exploration. Through STAG Exploration, LLC, Kyle assembled and successfully transacted on over 5,000 net acres in the Permian. At Black Mountain Exploration, Kyle acquired over 43,000 net acres in the Permian Basin and Eagle Ford Shale and successfully divested 32,000 net acres in the Midland Basin. Kyle graduated with a Bachelor’s degree from the University of Oklahoma. ©2019 Black Mountain Oil & Gas. All rights reserved.